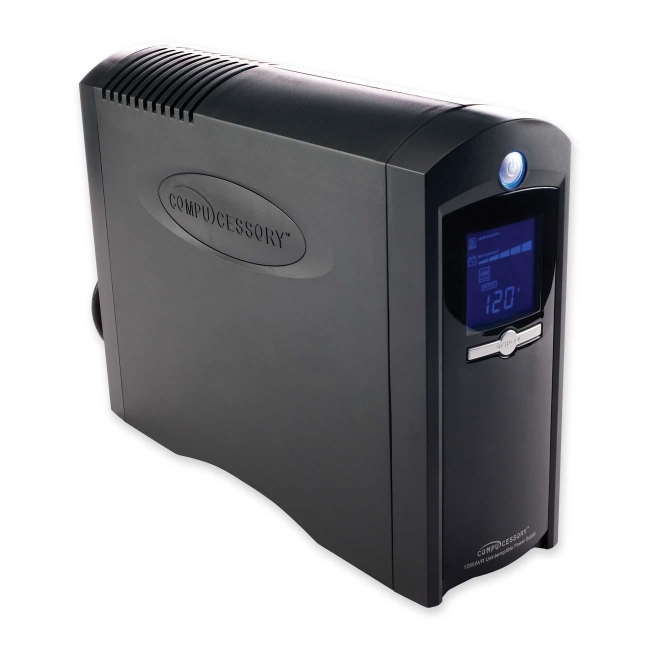 UPS power system with AVR features 1285VA/750 Watts, eight outlets (one adapter-sized) and a 6' cord. Ideal unit for mid-level to upper level computer systems. Battery runtime of up to 145 minutes. Guards against surges, spikes, sags, brownouts and other power abnormalities. The automatic voltage regulation (AVR) will step up low voltages to safe output levels. Power panel software will automatically save and close open files and then shut down the system in an intelligent and orderly manner. Power systems offers 1080 joules, 1 in/1 out RJ11 and 1 in/ 1 out RJ45. To pick the correct UPS system, total the watt requirements of your equipment and add 30 percent extra capacity to ensure the battery backup will function. If your equipment does not give a wattage rating, simply multiply amps x volts to get your watt requirement. UPS systems are not designed for printers, fax machines, heaters or fans.